In business and social research, Structural Equation Modeling (SEM) has become one of the widely used techniques for investigating complex causal relationships amongst latent variables. Structural Equation Modelling (SEM) enables us to examine series of dependence-independent relationships simultaneously. It is particularly useful in testing theories that contain multiple equations involving dependence relationships, where a hypothesized dependent variable becomes an independent variable in a subsequent dependence relationship. Recently SEM using AMOS has gained popularity in different fields of research and in practice viz., marketing research, information systems research, organization behavior research, strategic management, psychology, healthcare, and social sciences research. The FDP enabled lots of opportunities to members of faculty of SIMS, Pune to practice SEM. The empirical examples and exercises were practiced using IBM SPSS as well as AMOS software. The participants were given on-hands experience of ways to develop research paper, check missing data, unengaged response, and factor analysis (both exploratory and confirmatory factor analysis). Further how to identify adopted scales and check their reliability and validity, was explained to the participants along with common method bias. 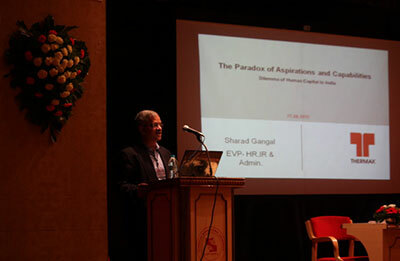 The FDP was aimed to make all the faculty aware with recent usage of SEM in writing research papers and teaching. Glimpses of the FDP on Business Simulation An FDP on Business Simulation was conducted on 27th May by Mr. Atish Bakhru, SIMS’ alumnus and SAP Consultant at TCS. This Business Simulation game was a software-based game in which there were 4 heads- finance, marketing, human resource and operations. There were 6 rounds signifying 6 months. There were 7 teams of faculty. They were expected to apply their strategy and sell one specific product like computer. The team with highest amount of selling and valuations was to win. Within 3 hours, the Game was over! Dr. Suruchi Pandey and Dr. Pradnya Chitrao’s team won. Ms. Preeti Kamboj, Dr.Sanjay Pawar and Brig.(Dr. )Rajiv Divekar’s team came second. Dr. Hirak Dasgupta and Dr.Vanishree Pabalkar’s team came third. Rest of the teams were disqualified after different rounds depending on their performance in the game. 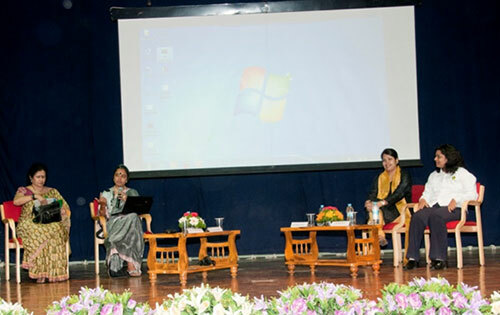 SIMS organised a unique FDP which provided the platform to the researchers to present and discuss and seek critical review from the experts in order to overall improve the quality of research. The experts were, Brig. (Retd.) 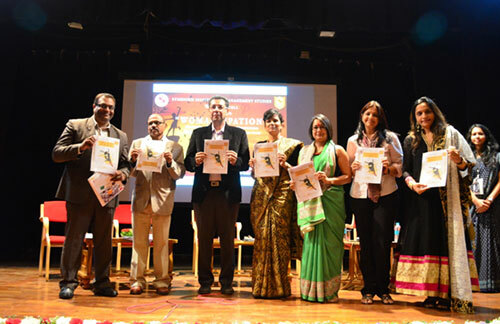 Rajiv Divekar, Dr. B. R. Londhe, Dr. Asha Nagendra, Prof. Komal Chopra and Prof. M. Dhanunjay Kumar. There were 20 researchers who attended this FDP and were immensely benefitted from the expert advice. 14 participants presented their research proposal and they were judged on the quality of the research. The judges were Dr. Maju Singh and Dr. Urvarshi Rathod. The first prize was won by Prof. Poonam Channiwal while second prize was won by Ms. Divya Bhatia. 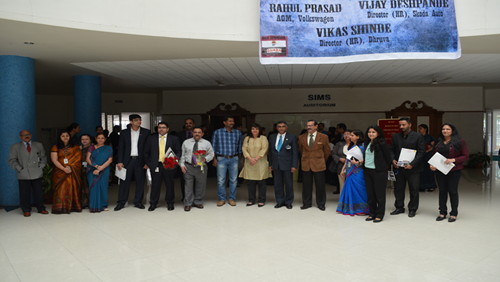 Dr. Mita Mehta and Prof. Arti Chandani thanked all the participants and judges to make the event successful. 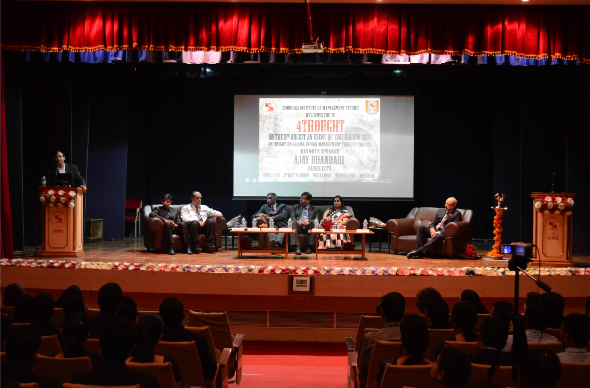 Mr. Dilip Chhabria CEO & MD, Dilip Chhabria Designs India Ltd.
Symbiosis Institute of Management Studies, Pune conducts annually, WOMANCIPATION, a seminar first of its kind to be conducted by a B-School in Pune. For this seminar, top level women executives, entrepreneurs, and women who have made it to the top in their respective fields, come and address our student managers. 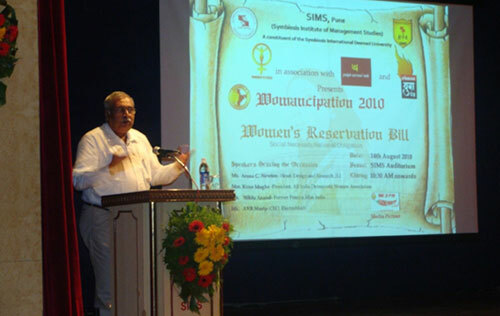 Last year also SIMS organized Womancipation’11 on 17th September, and the topic for the panel discussion is “Sexual Harassment at work place and ways to Address It”. 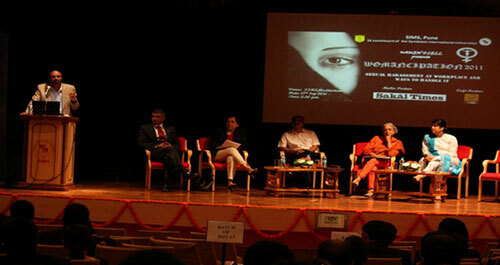 The panel discussion was moderated by Ms. ChayaSrivatsa, Founder & Trustee, GOWA. The ‘Colloquium Series’ of Symbiosis Institute of Management Studies ended on 14th September with event conducted by the Women’s Club which aimed at highlighting the various aspects of a corporate in the career enhancement path of a woman. This year’s topics of discussion were- Corporate Role in Women’s Career Enhancement and Breaking through The Pink Collar Ghetto. The phrase “pink collar ghetto” refers to women who are stuck in jobs that have no promotion or career advancement prospects. The event was marked by the presence of very eminent personalities who enlightened the audience by sharing their viewpoints on this subject. The moderator of the panel discussion- Ms. Archana Shiroor is the Head of HR for Corporate & Investment Banking and the BSS Mumbai Service Center at Barclays. She highlighted the areas that organizations should focus on in regards to this issue while maintaining her stance that this issue is equally about men and not just women. Also present for the discussion was Ms. Sindhu Subhashin, currently heading the Hitech Vertical & Key Strategic accounts within Mindtree who threw some light on the key internal and external barriers that women face in most organizations and how these very organizations are trying to provide a support system in order to attain maximum efficiency and retain the talent. Mr. Udayan Joshi, from John Deree,, who touched upon various industry demands and needs in this direction, was also an eminent speaker for this event.Mrs. Manjiri Dilip Chunekar, an expert in the field of Bio Medical Waste Management, the India Head for Don Whitley Scientific Ltd UK, shared her thoughts with the student managers emphasizing on the strength that lies within the important decisions one takes in their lifetime. Rekha Rao, GM of 20:20 MSL, Mumbai took the discussion to another level and emphasized on the fact that crisis doesn’t differentiate between genders and in the end it is all a matter of the choices we make. The event concluded by throwing light on issues like the underlying prejudice within each one of us and should women be given special privileges because of the same or not leaving the student managers with ample food for thought. 14th September2012 Equality: Myth or Reality: Have Women Really Made It To The Top MsKavitaKulkarni, Head HR, Infosys. 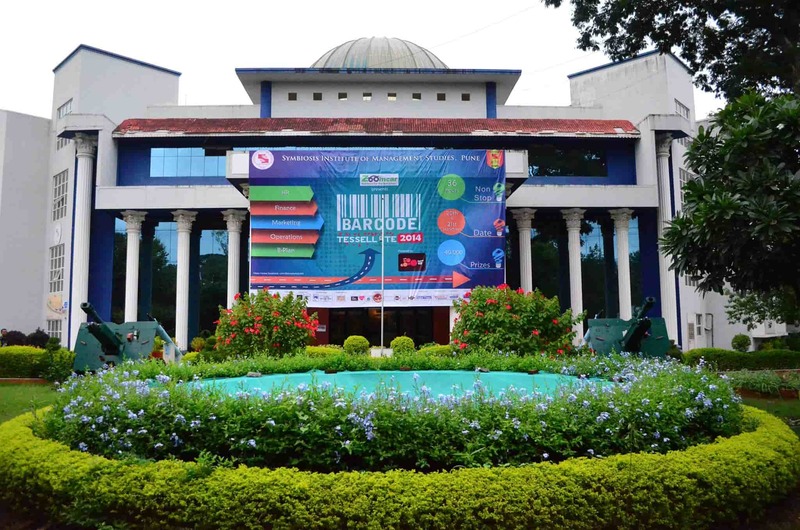 Symbiosis Institute of Management Studies, Pune conducts annually, WOMANCIPATION, a seminar first of its kind to be conducted by a B-School in Pune. For this seminar, top level women executives, entrepreneurs, and women who have made it to the top in their respective fields, come and address our student managers. 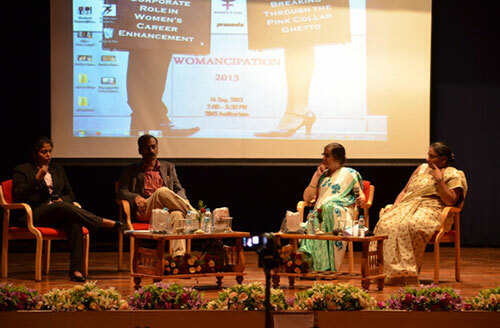 Last year also SIMS organized Womancipation’12on 14th September, and the topic for the panel discussion is “Gender Equality: Myth or Reality: Have Women Really Made It To The Top”. 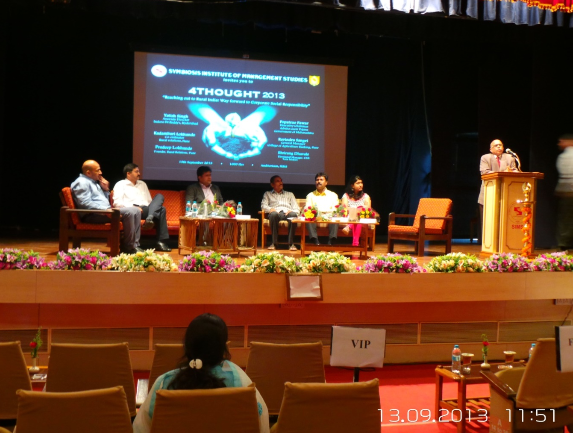 The panel discussion was moderated by MsKavitaKulkarni, Head HR, Infosys. Colosseum is an annual event where the HR club of Symbiosis Institute of Management Studies, Pune calls for eminent people from the industry to share their thought with the students. 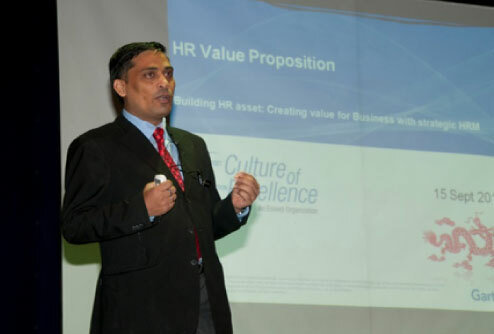 This year the theme was, “HR VALUE PROPOSITION” which focuses on how HR can deliver and add value to businesses all across the globe. 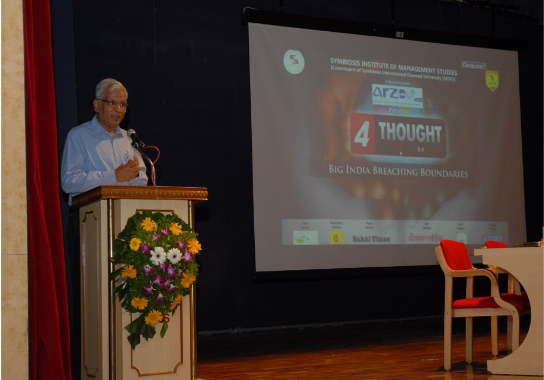 The event provides a platform to have discussions on the values that need to be inculcated in the Human Resource Management System which further reflects on the talent possessed by its people, resulting in business development. Mr. SharadGAngal, EVP Thermax India Ltd.
Mrs. Kavita Kulkarni, AVP HR Business Leader Infosys Ltd.
SIMS organizes SPSS workshop every year (MDP) for the benefit of faculty and students .The workshop is being conducted since last four years in collaboration with IBM SPSS, Bangalore. At the end of the workshop the attendees receive certificates of participation from IBM SPSS. The workshop is conducted twice a year during the months August and February. 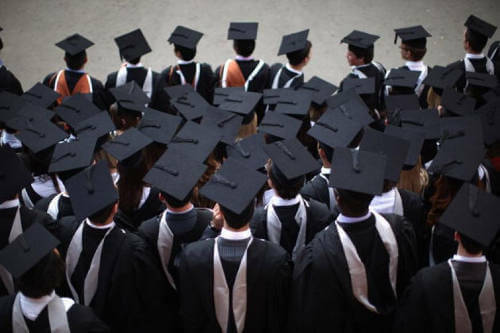 A large number of corporates, research professionals, middle and junior management personnel approach us for conduct of certified modules for two to three days on Advanced Statistics. We are glad to inform you that we have an MoU with IBM SPSS for conduct of this certified module and have been conducting it regularly for the past four years where in the the resource person is a trained instructor from IBM SPSS. It has proved to be a major success, attracting a number of participants.